HostGator offers several web hosting plans for businesses of all sizes. In addition to hosting, they have your domain needs covered as well. Reasonable plans paired with great customer support make HostGator one of the most trusted hosting platforms in the world. Shop online this Standard Plan WordPress Cloud Hosting with 2GB backups. Enjoy 48% Off on Enterprise Dedicated Server with 8 Core / 16 Thread CPU. Does HostGator offer a money-back guarantee? Yes, HostGator offers a 45-day money-back guarantee. If you are not satisfied with the plan you chose you will get your money back. This time is more than enough to test the hosting service and plan to see if it meets your expectations and offers the right tools for you to take your business forward. Most hosting services have a money-back guarantee of only 30 days. However, at HostGator.com, you get another 15 days to be completely sure. However, there may be some restrictions on receiving a full refund. If you choose to cancel your plan, you may not be refunded for any domain you got, additional tools, or installation fee. Refunds may only be applied to plans that were paid for by using a credit/debit card or PayPal. Also, this guarantee applies to shared, VPS, and reseller hosting. Why Should I choose HostGator for my website Hosting? If they are hosting hundreds of thousands of websites, they are perhaps doing something right. Every customer’s decision criteria are different but HostGator offers so many benefits, it is highly likely you will find something that convinces you to start or move your website there. Diverse Plans: There are not a handful of limited options to choose from, in fact, there are many. There are so many web business models out there like blogs, e-commerce, wiki, branding, communication etc. They have plans targeted for specific business models and their corresponding needs. Great Pricing: Almost all the plans have discounts so that when you start your website or transfer it, you pay the lowest price possible. Money matters of course and HostGator know that very well. Applications: HostGator is compatible with myriads of applications giving you the ability to work with any type of application. HostGator runs on Apache, PHP, Linux, and MySQL. Unparalleled Uptime: With an average uptime of 99.9%, HostGator is a reliable hosting platform for any business big or small. Enhanced Security: All plans have necessary tools for ensuring the security of server, website code, and data. Will my Coupon apply when the plan renews? When you first sign up to a plan and apply a coupon code for that plan, it will only be valid for the first term. This means it will essentially be valid for the first year. Once your plan subscription ends, you will be charged automatically for the renewal. However, if you explicitly notify HostGator not to renew i.e. cancel the plan, you will not be charged. If you choose to renew, the renewal will be carried out at the regular rates for the plan you chose. You can, however, upgrade to a new plan whenever you like but may not be able to use a coupon code for that. Similarly, you cannot use a coupon for a domain you have signed up for already again when it expires. Does HostGator also Offer Domain Registration? At HostGator, you can also purchase, manage, and transfer domains. Domains are charged annually and there are plenty of domain options you can choose from. Prices vary depending on the suffix you opt. For instance, .com domain is $12.95/year and .online is $1.95/year. 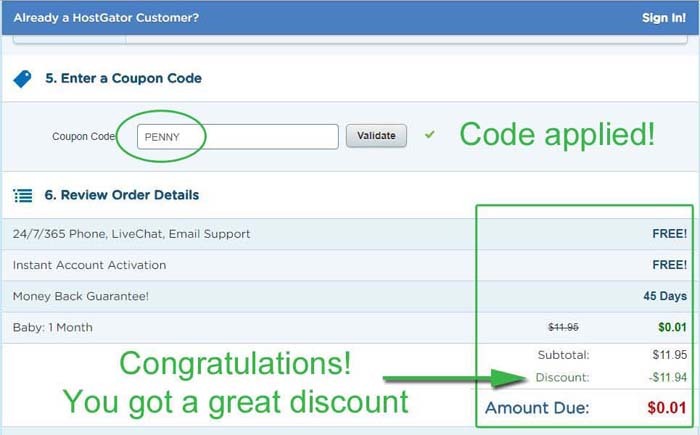 You may also be able to use a discount code for HostGator domains. How can I contact Customer Support at HostGator? How does HostGator compare to other leading hosting companies? This is true that there are many other reliable companies for hosting your website; however, they may not offer prices and discounts like HostGator. 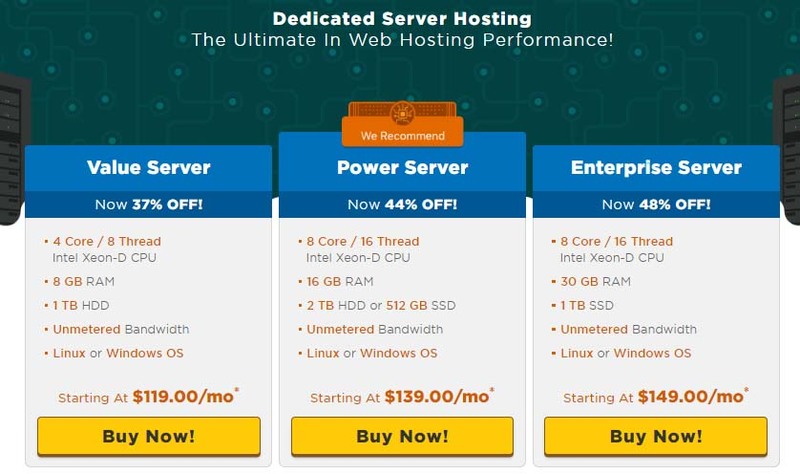 Moreover, HostGator has many plans for different types of hosting. Many hosting websites e.g. Bluehost.com charge you annually. You have to pay for the plan at one time when you are purchasing. HostGator offers more flexible payment options. You can choose the billing cycle according to your need. You can pay every month, every few months, every six months, or every year. If you want to compare plans, pricings, and features, here are the cheapest plans from GoDaddy HostGator, and Squarespace. How often HostGator coupons are released? New discount codes are released every month by HostGator. 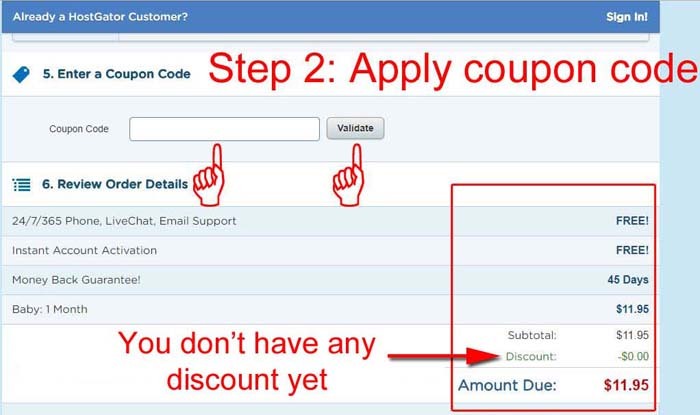 Most coupons are valid for at least a month so if you stumble upon a code after a few weeks, you might just be able to use it. Prior to special occasions like Black Friday, Cyber Monday, or St. Patrick’s Day, you can find even more coupon codes with bigger discounts. How often are 50% and 75% off coupons released and where can I use them? The most commonly found coupons for HostGator are the 50% and 70% off codes. These save you 50% and 70% respectively on the entire term you choose. The restriction on these coupon codes is mainly the plan they are applicable to. Some codes may only be used for signing up for a specific plan e.g. 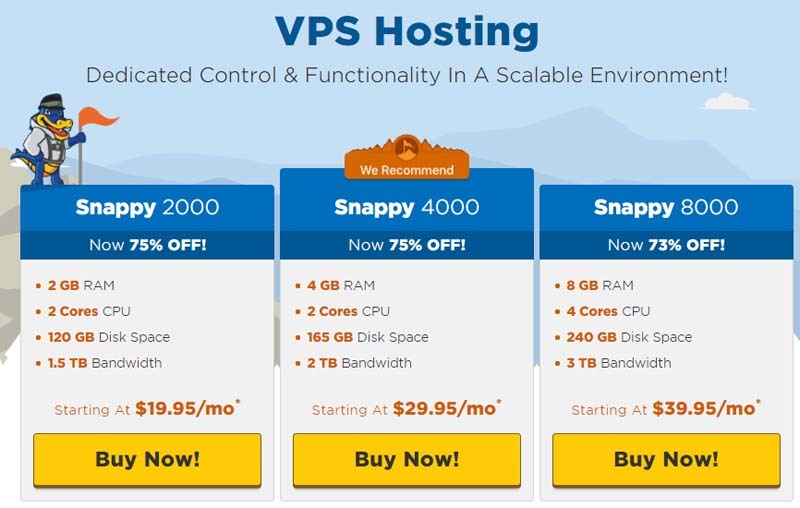 50% off on VPS Plan. These coupons are big savers and get redeemed pretty quickly. Therefore, they are also released in large numbers every month so that more and more customers can benefit from it. What is the HostGator 1 cent coupon? 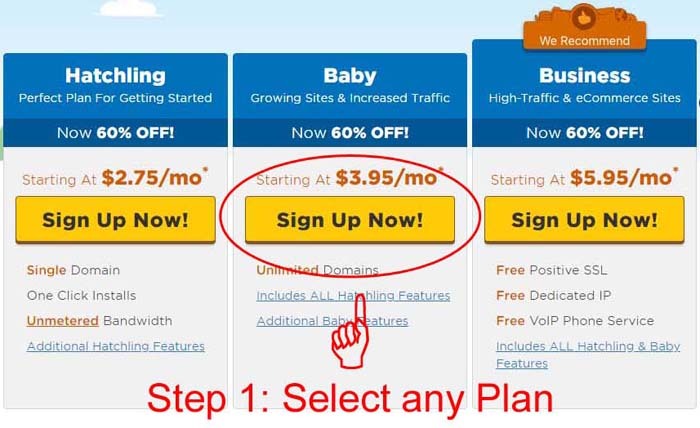 The HostGator 1 cent coupon basically brings the price for your selected plan to just 1 cent ($0.1) for the first month. You can start your hosting plan at just 1 cent for the first month and create your website. 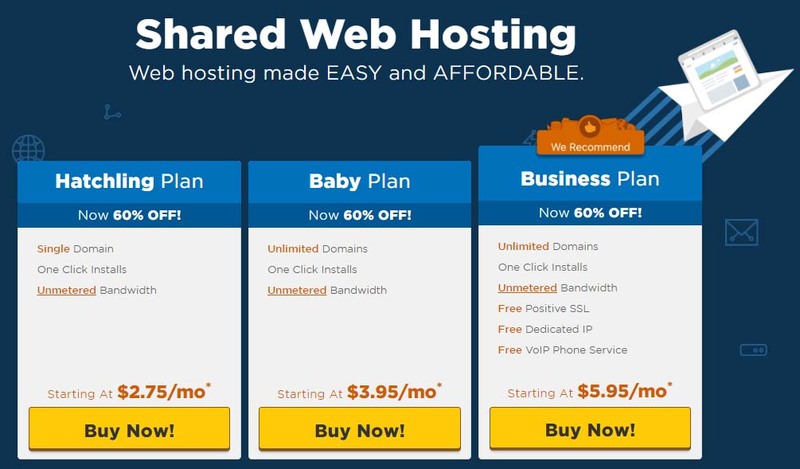 This coupon is valid for the shared hosting plans on HostGator. You can choose any within this type of hosting (Baby, Hatchling, and Business). Regardless of what the plan rate is and what billing cycle you opt for, the cost for one month will become just 1 cent. For the rest of the months, you will be charged the monthly rate for the particular plan. HostGator is a Texas-based company that is widely known for web hosting across the world. What started in a dorm room in Florida in the early web era quickly became a powerhouse of web hosting. It is headquartered in Houston, TX and has won numerous prestigious awards in the digital world. The founder Brent Oxley, a student at the Florida Atlantic University, started HostGator in 2002 and within a year he had over 100 clients. By 2009, they crossed 200,000 users and had two international offices in Canada and Brazil. Today, they host over 8,000,000 domains and are quickly adding more every day. You can create your website from scratch or transfer an existing one seamlessly. Their talented team is standing by to help you round the clock. Additionally, HostingGator issues discount codes that can make your selected plan so much cheaper. Shared web hosting has become very popular for small start-ups and HostGator offers incredibly low prices. The cheapest of the plans under shared hosting starts at $2.75 per month with discount. You share the server with other websites but you get the same reliable and high-quality support from Host Gator. The Hatchling and Baby plans are quite basic but come with standard HostGator features that come with all HostGator plans. This includes domain(s), One Click Installs, and Unmetered Bandwidth. The Business Plan is more appropriate for a new business. It also includes SSL, Dedicated IP, and VoIP Service. Instead of paying for an SSL, you get it for free with the hosting plan. Like all leading hosting companies, HostGator has also jumped on the cloud hosting bandwagon and offers plans that are affordable, reliable, and fast. The basic plan (Hatchling) offers a single domain, 2 GB Memory, and 2 Core CPU. 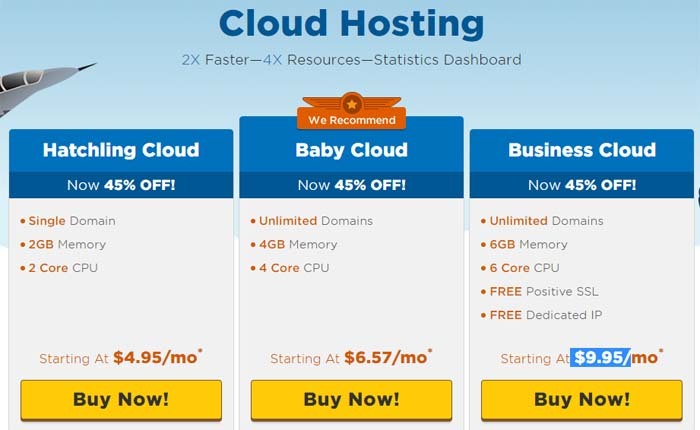 The Baby Cloud and Business Cloud both offer unlimited domains. The memory on Baby Cloud is 4 GB and on Business Cloud it is 6 GB. You get 4 Core CPU on the former and 6 Core CPU on the latter. The Business Cloud also gives you free Positive SSL and Dedicated IP. The WordPress hosting plans from HostGator truly give the bang for your buck. That is why it is one of the recommended hosting websites for WordPress. You can choose the plan that suits your needs and the size of your data. The main differences between the three plans are the number of sites, number of visits per month, and backup size. The WP plans offer 2.5 times faster load times. This is because of their cloud hosting architecture, CDN, low-density servers, multiple caching layers. With one click you can install WordPress and build your fresh and clean website with the help of tools and vibrant themes. If you are migrating to HostGator, they will give you free migration support. What else could one want? The reseller hosting plan at HostGator is one of their best plans that can help you make money. Their plan gives you the freedom and flexibility to run your business your way. WHM gives you the ability to create the HostGator cPanel for your clients and lets you manage how the payment structure works for you and your clients. With every plan you get free client management and billing software. You also receive hundreds of tutorials for your potential clients. Their VPS hosting plans ensure high security with RAID 10 disk configuration. You have full autonomy of the server. You can add resources as and when needed by your website as HostGator is compatible with so many applications. For those enterprise level websites and CMS, you need a hosting plan that can cater to often huge amounts of data. Your business needs unwavering support, cutting-edge technology, and lightning fast speeds. HostGator offers all that at rates that are surprisingly low. Dedicated Hosting ensures the whole server is dedicated to your website and that all resources are at your disposal at all times. They also offer Semi-Managed and Managed solutions to cater to your specific needs. With full control and endless flexibility, this is best suited for those businesses that get huge amounts of traffic. HostGator also has two Windows hosting plans with Plesk Control Panel. With robust ASP.Net programming features and scads of admin tools, their Windows Hosting is perhaps the best on the market. With the personal option you get 1 domain and with Enterprise you get 5 domains. The latter also includes free SSL and Dedicated IP. You get all the basic as well as some advanced hosting features with these plans that can make controlling the server and your website a breeze. HostGator is one of those hosting stores that regularly release coupon codes for many of their plans. The codes may be valid for one-time use or there may be multiple of them. We regularly update coupons for HostGator. When you are on the coupon page, click on the code you want to redeem (you can only use one for a single purchase). Some codes may not need to be entered and will activate once you click on them. All you have to do is go ahead with the payment. If the code needs to be entered manually, keep the code safe with you. 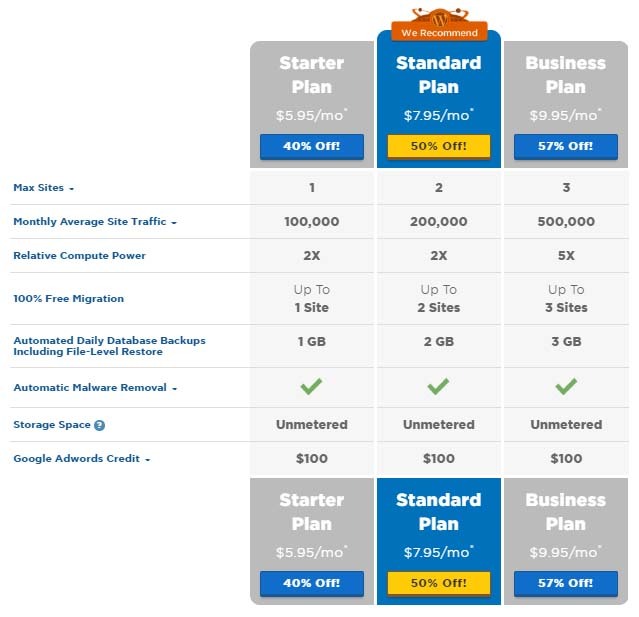 Go to HostGator.com and choose the plan you want or the one the coupon is for. You will be directed to the form for signing up for the particular plan you selected. Now, the first step is to get a new domain or use an existing one. 1. Step one is select the plan of your choice and the billing cycle. 2. After this, enter your coupon code and the validate button. 3. Congratulations! You got a great discount with a coupon code! Your discount will be reflected in the amount due at the end of this form. You can go ahead and confirm the order. You are ready to host your website on HostGator!